Fighting to stay awake during the early evening hours? Struggling to find the energy to complete activities of daily living? You may be suffering from fatigue. This common condition is often a byproduct of stress, hormonal imbalance, illness, or a chronic lack of sleep. The key to fighting fatigue’s lasting effects is in understanding its cause. 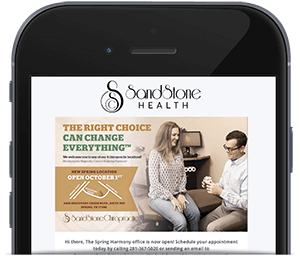 I authorize Sandstone Health to send me marketing information. The term “fatigue” is often used as another way of describing exhaustion. However, fatigue is a little different from simply being tired. (We’ll talk more about that in a minute.) Fatigue is lingering tiredness characterized as being constant and limiting. It is possible to be physically fatigued, emotionally fatigued or both, with one condition often leading to another. When you are exercising, fatigue is defined as a physical or mental weariness that results from exertion. When you can no longer work out at the same intensity and your performance begins to deteriorate, you are said to be experiencing fatigue. Athletes and weekend warriors alike rely on reaching and pushing past the point of fatigue as they train for distance races. High-intensity interval training programs create opportunities to reach muscle fatigue during an intense burst of work then follow it up with a short period of recovery where your muscles prepare to work again. But for most people, fatigue feels more like you have the flu, you have missed days of sleep, you are trying to think through a mental fog, or you are trying to function while moving underwater. In today’s stressed out world it is common to have a few sleepless nights or a few physically exhausting days that leave us feeling tired, sleepy or lethargic. But what differentiates fatigue from basic tiredness is often misunderstood. The National Sleep Foundation recommends adults get 7-9 hours of sleep every night. Go ahead, admit it. You just laughed out loud at that recommendation. In reality, nearly 1 in 3 adults in the US don’t get adequate amounts of sleep according to a CDC report. What’s more, going to bed at the same time each night and rising at the same time each morning and removing electronic devices from bedrooms can lead to better quality sleep than nearly half of us are getting. It’s no wonder so many of us are yawning our way through late afternoon meetings and relying on caffeine jolts throughout the day to keep going. While a chronic lack of sleep can certainly contribute to fatigue, the condition is not only characterized by simply being tired, there is another component. In other words, in order to be considered fatigued, you have to be limited in the things you do physically as well as mentally. There are as many causes of fatigue as there are people who experience it. However, most causes of fatigue fall into one of several broad categories. Like it or not, we are what we eat. Diets low in fiber and high in processed sugars tend to leave you feeling lethargic and reaching for another sugary treat to get you through the day. This is largely due to dramatic fluctuations in blood glucose levels that tend to happen in normally healthy people who indulge in high sugar diets. This energy/fatigue roller coaster is largely prevented by eating high fiber carbohydrates like whole grains coupled with vegetables and protein to maintain a healthy blood sugar level. But eating too many simple sugars is not the only way a poor diet can contribute to fatigue. Women in their child-bearing years are especially prone to developing fatigue when they are deficient in key nutrients like iron, Folate and other B vitamins and Vitamin D.
After the age of 35, women begin to experience a decrease in the amount of estrogen they produce. However, this is not the only hormone that takes a hit as they age. Progesterone, the hormone that prepares the lining of the uterus for implantation of an egg, and testosterone, the hormone that contributes to energy and libido also begin to decline. This steady decrease in hormone levels has been linked to increasing levels of fatigue as women approach menopause. But women have not cornered the market in experiencing hormonal changes as they age. Men’s testosterone levels naturally decline as they age. But if this decline is more rapid than it should be, men are likely to experience fatigue as a result of hormonal imbalances, just like women. There are several illnesses and diseases that can contribute to feelings of fatigue. In fact, many of these are at the forefront of your health care provider’s mind when you begin discussing your fatigue symptoms. Anemia – Red blood cells play an important role in carrying oxygen to your brain, muscles, and organs. Anemia happens when your red blood cell count is lower than it should be. Fewer cells carrying oxygen to your brain and body means more feelings of fatigue. Thyroid disease – Your thyroid is a butterfly-shaped gland in your neck that regulates the hormones used to turn food into fuel. An overactive thyroid will cause you to burn out while an underactive thyroid will make you feel sluggish. Either way, thyroid problems are inseparably linked to fatigue. Heart disease – If your heart is not pumping blood to your body efficiently it can make you tired. In fact, fatigue is the most common complaint in women who have some form of heart disease. Diabetes – While it is possible to have excessive thirst and excessive urination and not have Type I diabetes, fatigue is often the biggest differentiating symptom of the disease. As blood sugar levels climb and the body’s ability to produce insulin declines, the liver begins converting fat into glycogen in order to keep the body’s systems running. Ketone levels climb and the person’s blood becomes acidotic resulting in a condition called diabetic ketoacidosis (DKA) which can cause coma or even death. One of the biggest indicators a person is facing impending DKA? Crushing fatigue. People with Type II diabetes can also experience DKA if they do not control their blood sugar levels with diet, exercise, and insulin. Fibromyalgia – Fibromyalgia is a term used to describe chronic, wide-spread pain with an unexplained cause. Fibromyalgia affects more women than men and is characterized by fatigue during daytime hours. In addition to aching joints and muscles, those affected by this condition describe living in a “fibro fog” – a feeling of dense mental haze that makes concentrating difficult. Chronic Fatigue Syndrome (CFS), also known as myalgic encephalomyelitis (ME) or systemic exertion intolerance disease (SEID) is extreme fatigue that cannot be explained by another disorder or disease. While its direct cause is unknown, many people who suffer from CFS develop it after a viral infection, as a result of a weakened immune system, as a result of chronic stress, or due to hormonal imbalances. CFS affects women two to four times more often than men and people in their 40’s or 50’s are more likely to develop CFS than any other age group. Let’s not forget our old friend stress. Your body is equipped with a defense mechanism known as the “fight or flight response”. When faced with a potentially dangerous situation, your body is flooded with hormones that prepare it to either fight for its life or flee the scene. Your pupils dilate, your heart rate changes, your digestion slows, your muscles burn through available fuel, even your skin is more sensitive during these phases. This incredible response is ready at a moment’s notice to protect you from every danger imaginable. Once the danger has passed, your body naturally enters a “rest and digest” phase where your hormone levels return to normal and your body recovers from the stress response. Your body’s fight or flight response cannot tell the difference between a saber-toothed tiger and a looming deadline at work. The response is the same. 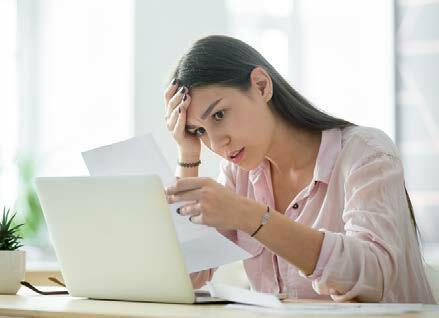 Anytime you experience stress, your brain activates your body’s stress response, the flood of hormones that ready you to fight the danger or flee from it. If you only experience stress and never take time for “rest and digest” your body lives in a chronic state of fight or flee. Eventually, your adrenal glands will maintain the levels of stress hormones you require and you end up experiencing mind-numbing, life-altering fatigue. Doctors, nurses, pilots, and other shift workers have been studied for years to uncover some of the lesser-known effects of long-term fatigue. For these professions, fatigue has been shown to disrupt basic biological functions, affect their performance, interrupt normal social relationships, and impact their physical and mental health. According to the National Highway Transportation Safety Administration, driver fatigue is the leading cause of drowsy driving and sleep-related crashes. Drowsy drivers have slower reaction times and processing deficits making it harder to respond to hazards. Fatigue can produce performance equivalent to that of a person with a blood alcohol concentration of 0.05-0.1 percent. Fatigue affects your ability to think analytically, make a decision, remember and recall events, control emotions, recognize risks, and communicate effectively. 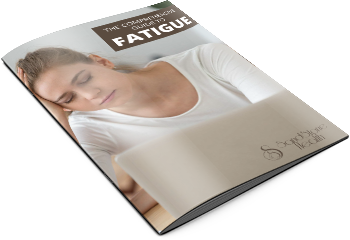 The way you choose to combat fatigue will depend on the reason why you are experiencing it. For those who are experiencing fatigue as the result of an underlying illness or disease process, treating the illness will usually resolve the fatigue. However, there are a few ways to fight fatigue that benefit everyone. Stress less. Easy for us to say, right? But learning to manage your stress allows your body to enter the “rest and digest” phase when it needs to. This alone can help mitigate many of the feelings of fatigue that are so common for those who live a stressful lifestyle. Get enough quality sleep. Successful people find that getting the same amount of sleep at the same time every night can prevent fatigue from sleep deprivation. This may mean giving up your nightly binge of the latest TV show, but your daytime self will thank you. Mind your diet. Be sure to eat a diet high in fiber and low in processed sugar for maximum energy throughout the day. With as much misinformation out there, consider seeing a nutritional counselor who can create a customized eating plan that will combat fatigue. You no longer have to be limited by fatigue. Stop accepting feelings of mental and physical exhaustion as your new normal. Call Sandstone Health today and rediscover your lost energy with our family of fatigue-fighting wellness testing, thyroid support, hormone replacement therapy, and weight management and nutrition services.